Decatur, Ala. – Combining history and haunted walking tours have become annual October traditions in cities and towns across the United States, including the North Alabama town of Athens. Now in its tenth year, Athens Haunts Walk leads guests on a spooky 90 minute walking tour that uncovers paranormal activity and hauntings in the historic downtown area. 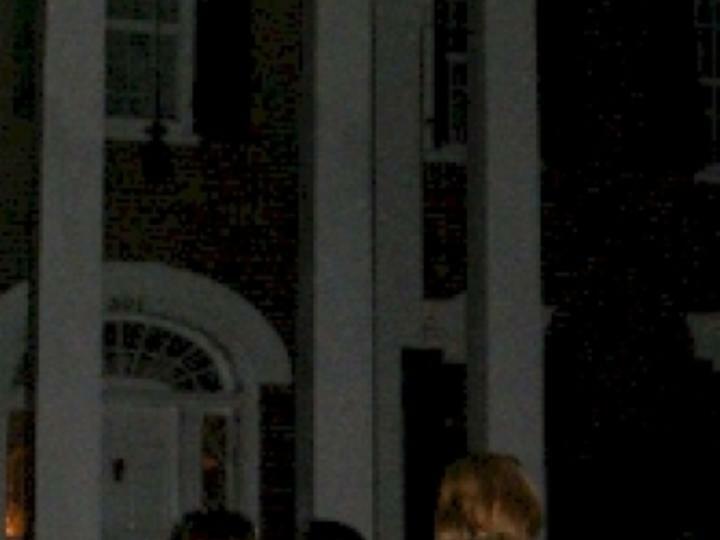 During Athens Haunts Walk, experienced and entertaining tour guides tell spooky stories of paranormal activity at 13 local structures. Stories include the college student who fell to her death and is said to still roam the halls at Athens State University’s Founders Hall and the great 1893 fire that burned the wooden buildings on Marion Street. Tours include a stop at Founders Hall where the students of the then-named Athens Female Institute watched Union and Confederate soldiers battle and the steps of the Houston Library where a crowd gathered on the night voters elected George Houston as the state’s first governor after reconstruction. In the past, tour participants have included believers of paranormal behavior and some skeptics of the supernatural. “Many participants come for the education, and see the tours as a way to get to know Athens. With previous tours, we have had new residents to participate so they can learn as much as possible about the history of the town they now call home,” added Todd. Suitable for adults and children in grades 4th and up, the Athens Haunt Walks take place every Tuesday and Thursday night in October with the first walk beginning at 6:30 p.m. followed by the second walk at 7 p.m. Leading the tours are Bill Ward, Shane Black, Garth Lovvorn, Mindy Slinkard, Anna Gibbs and Jerry Barksdale. All tours depart from the Athens-Limestone County Visitors Center located at Big Springs Memorial Park (100 N. Beaty Street). Guests are asked to arrive 15 minutes before scheduled tour time. Each walk is approximately 90 minutes and a one-mile walking distance. Tickets are $5 per person and advanced purchase is required. Tickets are sold at the Visitor Center Monday through Friday from 8 a.m. to 5 p.m.
For more information, call the Athens-Limestone County Tourism Association at 256-232-5411. AMLA is a nonprofit organization dedicated to the promotion and development of the travel industry within the 16 northernmost counties of the state. It is supported by 500-plus members consisting of chambers of commerce, Convention & Visitors Bureaus, attractions, campgrounds, festivals, communities, counties, golf courses, restaurants, tour operators, accommodations, vendors, financial institutions and individuals. Counties included within the AMLA region are Blount, Cherokee, Colbert, Cullman, DeKalb, Etowah, Franklin, Jackson, Lauderdale, Lawrence, Limestone, Madison, Marion, Marshall, Morgan and Winston. Additional information on North Alabama destinations, accommodations and special events is available by calling 800.648.5381 or by visiting www.NorthAlabama.org. Follow us on Twitter and Instagram @VisitNorthAL and like us at www.facebook.com/VisitNorthAL.